The Department of Tourism (DOT) will showcase Albay in the 2015 Marche International Proffesionels d’Immobilier (MIPIM), an annual show participated in by influential property and tourism players worldwide, at the Palais des Festivals in Cannes, France on March 10-13 this year. The Philippines will occupy a prominent display area in the MIPIM fair as a featured country, and DOT has invited Albay as the showcase province, being the country’s hottest tourist destination. DOT Undersecretary Maria Victoria V. Jasmin in a letter to Albay Gov. Joey Salceda said the invitation to join MIPIM is “part of the prizes of the winning chief executive” in the recent Tourism Star Philippines 2014 awards. Salceda won the Tourism Star Philippines 2014 title for local government executives, in the awards’ maiden edition held at the Raffles and Fairmont Hotel in Makati last February 12. The MIPIM fair is expected to further enhance Albay’s world potential in tourism and tourism infrastructure build up. The province has been presented in various international and national promotions including the Berlin ITB 2012 in Germany, the London WTM 2013, the Shanghai TM 2013, DOT Hongkong 2014, and special events of the Philippine Asia Travel Association and the Philippine Travel Operators’ Association. The Philippine representation to the MIPIM will be led by the DOT, the Tourism Promotions Board (TPB) and the Tourism Infrastructure Enterprise Zone Authority (TIEZA). MIPIM is an annual property show that brings together the most influential property players and offers unrivaled access to the greatest number of development projects in all asset classes and sources of capital worldwide, according to Jasmin. MIPIM offers unhampered access from office real estate facilities to logistics assets, including hospitality projects, residential buildings and retail properties. Under its auspices, international players promote projects, enrich or diversify their portfolio, discover market trends and network with their peers and targeted clients.In 2014, Jasmin said MIPIM Cannes recorded about 21,000 participants and visitors, 2,200 exhibitor companies, 4,500 investors, 3,200 CEOs and chairmen, 430 journalists, and 370 key political leaders from around the globe. 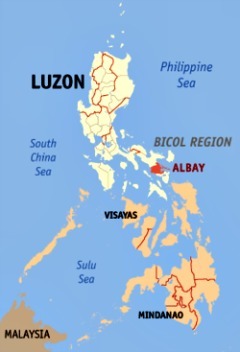 Tagged as the hottest destination in the country, Albay has emerged from being disaster-afflicted to a dynamic province with a phenomenal tourism growth, from 8,700 in 2007 at the start of Salceda’s term as governor, to 339,000 in 2013. The figure hit 300,000 in 2011 and has steadily increased since then. Undersecretary Jasmin said the DOT is putting up a specially designed pavilion in a 65 square-meter space located strategically within the MIPIM Fair exhibition hall to accentuate Philippine visibility.